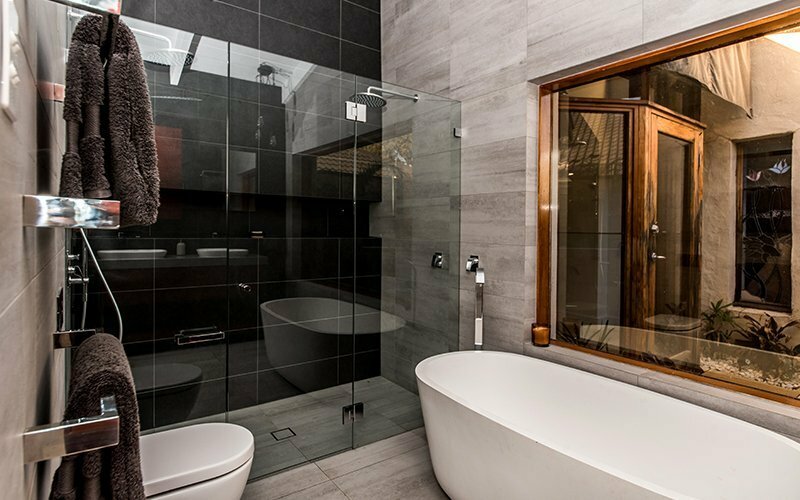 The clients of this eastern suburbs home were after an upgrade from their very tired and poorly planned ensuite. A large window that looks out onto a Zen garden was to be the focal point of the space. 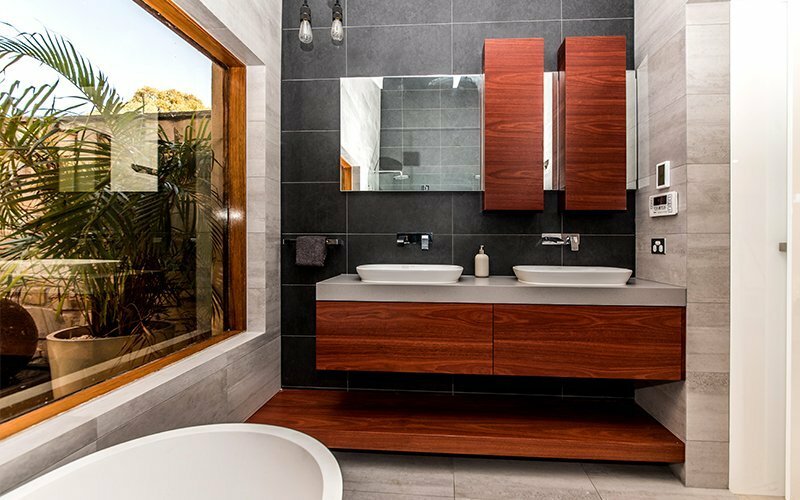 The double vanity constructed out of Jarrah veneer is in keeping with the Japanese Zen style and brings warmth to the space. Its asymmetrical proportions are cleverly designed to accommodate the feature window. 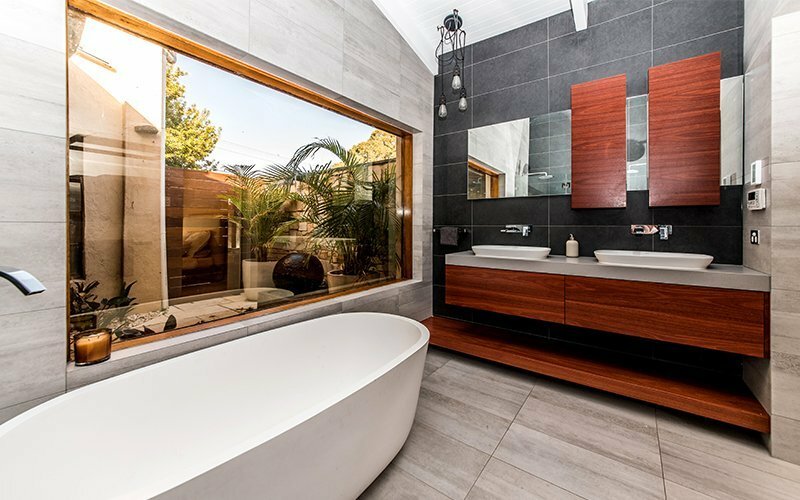 Jarrah Cabinets, low shelving, mirrors and pendant lighting were strategically positioned to create a composition that ticks the eye and balances the space. The dramatic raked ceiling created opportunity to create a double shower with a large tiled wall that included a wall to wall niche for maximum storage. The ensuite needed to be timeless and inviting. Two different shades of a classic grey porcelain tiles were used. The darker of the two emphasises the feature walls. This also helped balance the long narrow space. 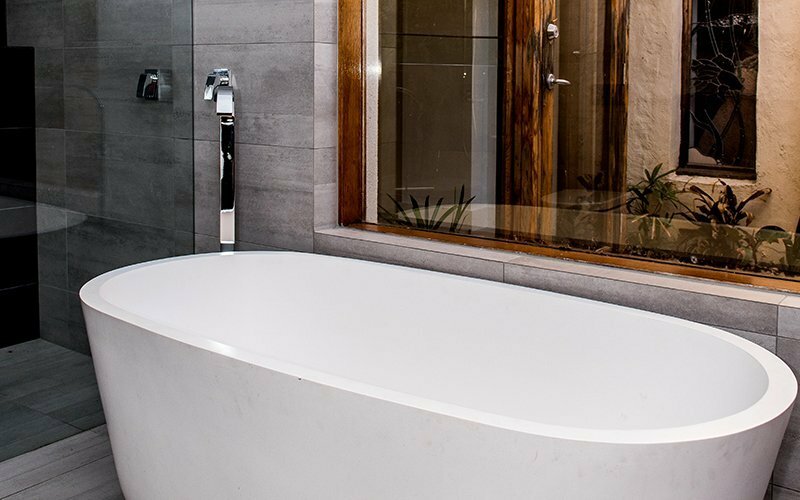 As space was limited, we selected a small Apaiser Chi bath, however, it certainly oozes wow factor and creates a haven of relaxation for all the family to enjoy.